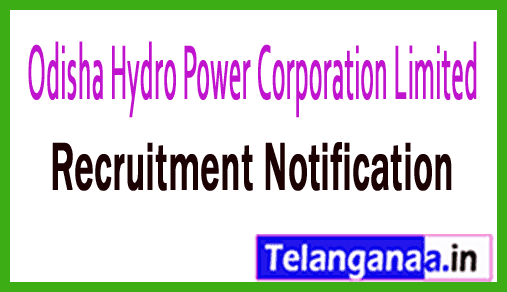 A job advertisement titled as OHPCL Recruitment has been dissipated by Odisha Hydro Power Corporation Limited. Motivated & dynamic Individuals have to submit their application form for the 115 Vacancies of Trainees till the closing date that is 16th April 2019. Qualification: Those candidates are having minimum qualification as Candidates who are willing to apply for OHPCL jobs must posses 10th / ITI / DCA / B.Com from any recognized board or institution can apply. Candidates applying for any aforesaid post and belongs to General / SEBC category shall be required to pay an application fee of Rs. 500/-. ST/SC of Odisha & PwD candidates will be exempted from the payment of application fee. Contenders who want to join this organization they should be in between 18 to 32 Years As on 01-03-2019. Contenders, interested to apply against Odisha Hydro Power Corporation Limited recruitment they have to go through the Computer Based Test and Merit List round that will be organized by the recruitment panel of organization. Job searchers who wish to apply for OHPCL Jobs needs to go on official site that is http://www.ohpcltd.com. Starting Date of Online Application Form Filling Is : 11-03-2019. Last Date For Applying Online Is : 16-04-2019. Closing Date for Receiving Hard Copy of Application Form Is : 10-04-2019. Check OHPCL Recruitment Notification Here. 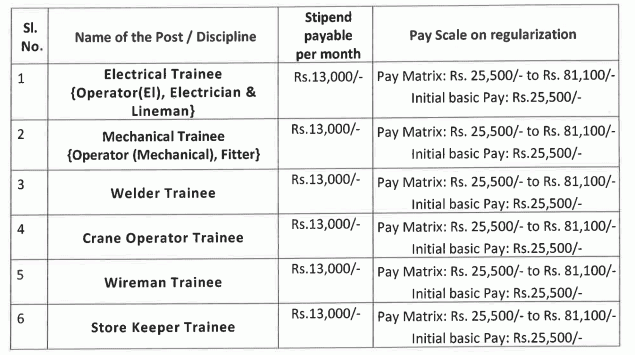 A job advertisement has been broadcasted as OHPC recruitment by Odisha Hydro Power Corporation Limited. Enthusiastic and talented Job Hunter can submit their prescribed application form for the diploma / graduate engineer trainee, 96 vacancies of management trainees before the end date of December 5, 2018. Eligibility Criteria: Job seekers should have diploma / engineering degree / graduate degree (law /) / CA / CMA / ACS / FCS / postgraduate degree / PG Diploma or equivalent examinations from any recognized institution. Applicants should be between 18 to 32 years (post 1), between 21 to 32 years (post2,3) between 01-10-2018. Approval: The amount of rupees will be received successfully for the recruitment of claimants against this recruitment. 22,500 / - (post 1), Rs. 28,000 / - (post 2,3) from the recruitment organization. Candidates' engagement will be based on their performance in computer-based test and personal interview which will be conducted by the recruitment committee of Odisha Hydro Power Corporation Limited. The first and most important step is to open the official site for you, which is http://www.ohpcltd.com. The introduction of online application form is: 10-11-2018. Deadline for online application: 05-12-2018. Starting date of download of the entry form: 08-12-2018. Click OHPC Recruitment Notification here. For Staff Nurse - 12th (Science) examination or equivalent and Diploma in General Nursing & Midwife Course from any of medical college. For Multipurpose Health Worker - 12th with Health Worker Female Training course conducted by the Odisha State Nursing and Mid wives Board or passed out from INC (Indian Nursing (Female) Council) approved institutions either Government or private and having Odisha Nursing Council Registration. For Pharmacist - 12th Science Examination under Council of Higher Secondary Education, Odisha / equivalent and Diploma in Pharmacy from any of the Medical College & Hospitals of the State. Application Fee - Candidates have to pay Rs. 50/- through Demand Draft drawn in favour of Odisha Hydro Power Corporation Limited, Mukhiguda payable at lOB Mukhiguda/ SBI Jaypatna, Dist:- Kalahandi. How to Apply - Interested Candidates may apply in plain paper along with attested copy of relevant documents, experience certificate, one passport size photograph, self addressed envelope size 12 cm X 25 cm & DD send to Senior General Manager (EI), Upper Indravati HE. Project, At/Po:-Mukhiguda, Dist.- Kalahandi, Odisha, PIN:- 766026 on or before 10.04.2017.